Remember your first martini? What about your last? To guarantee that the next one is memorable, check out the Raleigh venues that made travel blog Scoutology&apos;s Top 20 North Carolina Cocktail Spots. And it&apos;s the perfect day to taste the area&apos;s best. Why? Today is National Martini Day! The Architect Bar & Social House technically got the nod from Scoutology, but the real gem is hidden inside: The Green Light. The behind-the-bookshelf back bar has some of the most knowledgeable bartenders in the scene. A self-described martini purist, bartender Mike Bruce stressed that whiskey does not a martini make, however for a Raleigh-themed cocktail, try Green Light&apos;s "CAM Raleigh." It&apos;s a pink-tinted mix of peychaud (orange bitter), lemon juice, chamomile syrup and rye whiskey. Bittersweet, as Scoutology describes it, is "one part coffee shop, one part bakery and one part cocktail bar." Try their classic cocktails, or sip a summer mix while they&apos;re seasonally featured. While Bittersweet doesn&apos;t boast a drink named after Raleigh on the menu, bartender Clay Misen said the aromas and flavors of the bar are distinctly local—the regional Lil&apos; Farm supplies fresh ingredients and flowers. C. Grace has "strong and flavorful drinks like The Blood & Sand," Scoutology writes. Try their Spring Negroni, with gin, dry vermouth, aperol and peychaud for a drink in the vein of a martini but more on trend—negronis are all the rage, Bruce said. Rounding out the Raleigh spots on Scoutology&apos;s list is Foundation, which features "creative cocktails" in a wider variety of prices, as well as "excellent whiskey choices," the blog writes. 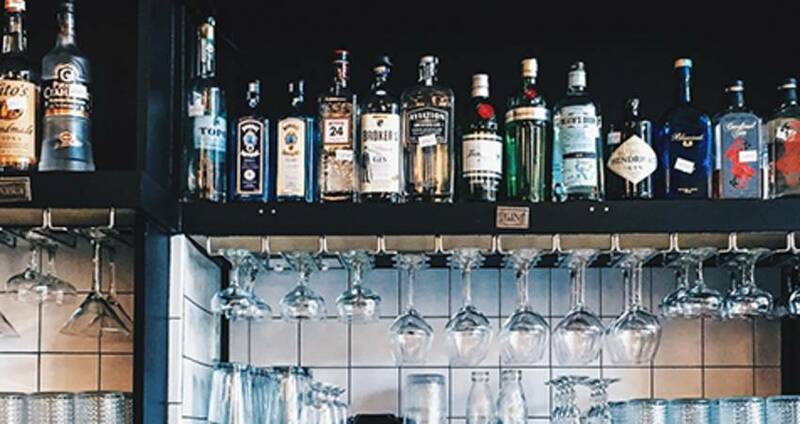 Though it didn&apos;t make Scoutology&apos;s top 20, it&apos;s hard to leave out Ashley Christensen&apos;s Fox Liquor Bar, an establishment any Raleigh liquor connoisseur should be well aware of. There&apos;s a menu, but patrons really don&apos;t need it: try simply describing to their expert pourers what you want your Martini Day treat to taste like. We hope your next martini is a memorable one. If it is, hang onto the moment by hashtagging social media posts with #NationalMartiniDay. Shout-out the Raleigh establishment, and Happy Martini Day!